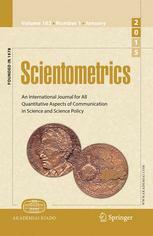 Baba, Y., Shibayama, S., & Shichijo, N. (2012) Contribution for the Science for Science Policy: Sociological Approach. Journal of Science Policy and Research Management, 27(3/4), 197-209. Shibayama, S. & Tanikawa, K. (2007) Merger of Yamanouchi Pharma and Fujisawa Pharma. Keio Business School Teaching Case. Shibayama, S., et al. (2003) BioSerenTach Inc. Keio Business School Teaching Case. Shibayama, S. & Lawson C. (2018) Privatization of Scientific Resources. Conference on Higher Education in modern Ecosystems: Efficiency, Society and Policies. 12th-14th March. Augsburg, Germany. Kobayashi, Y. & Shibayama, S. (2017) Production of Science and Scientist. Atlanta Conference on Science and Innovation Policy. 10-11 October. Atlanta USA. Shibayama, S. (2017) Sustainable Development of Science and Scientists: Academic Training in Life Science Labs. Workshop on Resource Competition, Research Assessment and Institutional Affiliations in Academia. 27-29 September, Munich Germany. Shibayama, S. (2016) Intergenerational transfer of scientific knowledge and sustainable development of science. SPRU 50TH anniversary conference. 7-9 September. Brighton UK. Shibayama, S. (2016) Production of Science vs. Scientists - A Case of Life Science Laboratories in Japan. 2016 Association of East Asian Research University (AEARU) Workshop on "R&D Policy and Asian Research Universities" 28 April. Daejeon Korea. Shibayama, S. (2016) Production of Science vs. Scientist: Case of Life Science Laboratories in Japan. The 10th Workshop on The Organisation, Economics and Policy of Scientific Research. 9th-10th May. Turin Italy. Shibayama, S. & Baba, Y. (2014) Rationale of Low-Impact Publication. DRUID Society Conference 2014, 16th-18th June, Copenhagen Denmark. Shibayama, S. & Baba, Y. (2014) Rationale of Low-Impact Publication: A Case Study of Japanese Life Sciences. LEI-BRICK Workshop: the Organization, Economics, and Policy of Scientific Research, 19th-20th May, Turin Italy. Shibayama, S. & Baba, Y. (2013) Impact of Academic Entrepreneurship on Science. UIRC Taiwan Workshop. 4th-5th December, Taipei Taiwan. Morichika, N., Shibayama, S. & Baba, Y. (2013) Determinants of Publication Destination: Who Publishes in Low-impact Journals? Atlanta Conference on Science and Innovation Policy. 26th-28th September, Atlanta GA.
Shibayama, S. & Baba, Y. (2012) Identification of Evolutionary Path towards Excellent Laboratories. 3rd Asia‐Pacific Innovation Conference, 13rd‐14th October, Seoul Korea. Shibayama, S. (2012) Evolution of Academic Cooperation: Math Analysis and Survey‐based Empirical Analysis. 14th International Schumpeter Society Conference, 2nd ‐5th July, Brisbane Australia. Shibayama, S.(2012) Academic Entrepreneurship and Disruption of Academic Cooperation. EuSPRI Conference. Path‐breaking innovation: Understanding, managing and providing support for continuous radical change in science and innovation, 27th ‐29th June, Milan Italy. Shibayama, S. (2012) Disruption of Indirect Cooperation and Emerging Direct Cooperation: Mathematical and Empirical Approaches. DRUID Society Conference 2012, 19th ‐21st June, Copenhagen Denmark. Shibayama, S. & Baba, Y. (2011) Academic Entrepreneurship and Exchange of Scientific Resources. Japan Society for Science Policy and Research Management Annual Meeting. 15-16 October, Yamaguchi Japan. Morichika, N & Shibayama, S. (2011) Inbreeding in Japanese University Laboratories. Japan Society for Science Policy and Research Management Annual Meeting. 15-16 October, Yamaguchi Japan. Shibayama, S. (2011). Academic Entrepreneurship & Exchange of Scientific Resources: Material Transfer in Life Sciences and Materials Science in Japanese Universities. IIR Summer School 2011. 24 August, Tokyo. Shibayama, S., et al. (2010) Academic Entrepreneurship and Sharing of Scientific Resources: Material Transfer in Life Science and Material Science in Japanese Universities. 4S-JSSTS Meeting, 25th -29th August, Tokyo. Shibayama, S., et al. (2010) Academic Entrepreneurship and Forms of Exchange: Material Transfer in Life Science and Material Science in Japanese Universities. American Sociological Association Annual Meeting, 13th -17th August, Atlanta GA.
Shibayama, S. (2010) Conflict of Academic Entrepreneurship and academic cooperation, and transition of underlying scientific norms. BRICK-DIME-STRIKE Workshop: the Organization, Economics, and Policy of Scientific Research, 23rd -24th April, Turin Italy. Shibayama, S. (2009) Effect of Individual-Level Architectural and Component Knowledge on Radical and Incremental Innovation of Corporate Researchers. 2009 Academy of Management Annual Meeting, 7th -11th August, Chicago IL.